Right after I booked my flight to Melbourne, I was double-guessing myself if Melbourne was the right destination for a road trip. I doubt it, but one thing I know for sure is that; “This heart of mine was made to travel the world”. I can’t stop and I won’t stop. I’ll continue on making plans for my future road trips. I asked my colleague who spent her teenage years in Melbourne to see if she had any tips about road tripping in Melbourne. 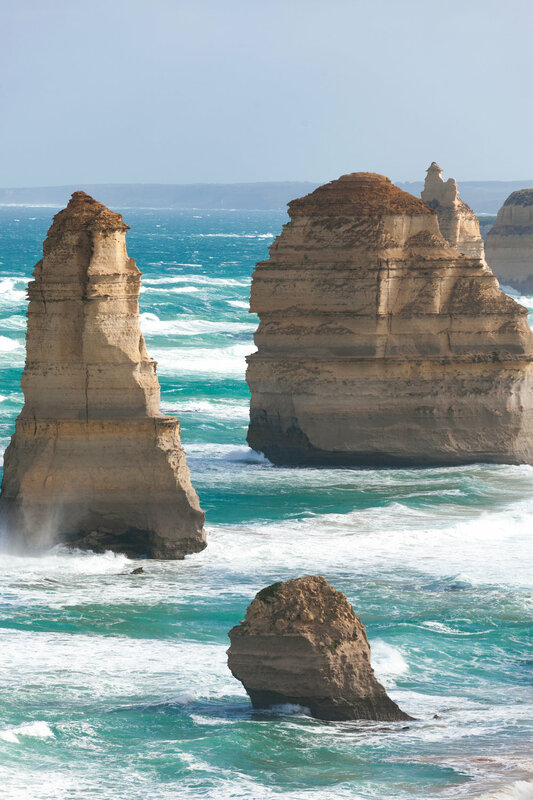 I knew that I approached the right person because she smiled and said: “Raj, have you heard of The Twelve Apostles and The Great Ocean Road?” At the same time, she was turning her MacBook screen towards me, showing the picture of the destinations. I paused and couldn’t get my eyes off of those pictures. I mean I have seen them before but I didn’t realize that it was in Melbourne. 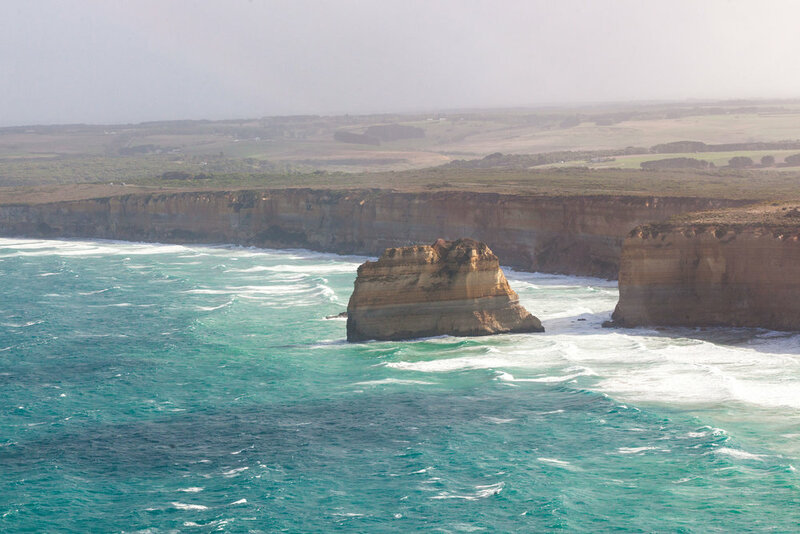 All in all, driving along the coast, kilometer by kilometer of the Great Ocean Road and taking a helicopter ride to see the aerial view of The Twelve Apostles was an amazing experience and it should be on everyone’s bucket list. Here are 12 thoughts that crossed my mind and I’m writing it out loud. I am blessed with parents who work hard and give their children all that they can. One of the many gifts my mother has given me was the ability to travel. Traveling has eased the pains I have experienced growing up and shaped me into a well-rounded person even though my trips are no longer funded by her. While I was driving past each apostle and this very moment as I’m sharing these thoughts, my gratitude goes to the most beautiful lady in my life who is now taking care of her parents back in Thailand. I’ll be sure to look after her as well as how she looks after my grandpa. I wish we both would make many more road trips in the many years to come. For some reason, when I come to the beach, I can easily get emotional. My mind wanders away to someone who I used to hold hands with and walk along the beach with. The unusual heartbeats, the laugh, the sound of the wave, the sunset and the forehead kisses are all vivid in my mind. I know it’s over and I’m fully aware of the fact that we can never bounce back together but I can’t help it. I just can’t help it. Have I ever crossed that someone’s mind? I don’t know and let’s not find out. In the end, I threw off this feeling. I threw it back to the ocean. No one else to blame but the ocean. ­­­­I used to experience relationships where my exes and I took our love journey into the fast lane and I remember those moments too well, those moments that ended so badly for us. Driving is exactly like being in one of those relationships. After many road trips, open-heart conversation, negation and a lot of pain in my chase, I’m now going to take it at a slower and more stable speed. 90 Kilometers Per Hour seems to be the appropriate pace. I’m going to drive slow and I’m going to love slow. And I’ll make sure to fasten the seat belt this time. Just because someone else is driving faster, doesn’t mean you have to drive just as fast. And just because someone is driving slower, doesn’t mean you have to drive just as slow. Each of us has our own pace. Sometimes, we look at our friends and many of them are behind us, some of them are much ahead of us but in fact, they are not. They are living according to the pace of their own clock. It’s just like how you are living through your own individual time zone. One thing you should keep in mind is that you are taking your time and you are allowed to take your time so be patient and stay true to yourself. Things will fall into place because there is always a “time” and “place” for everything. 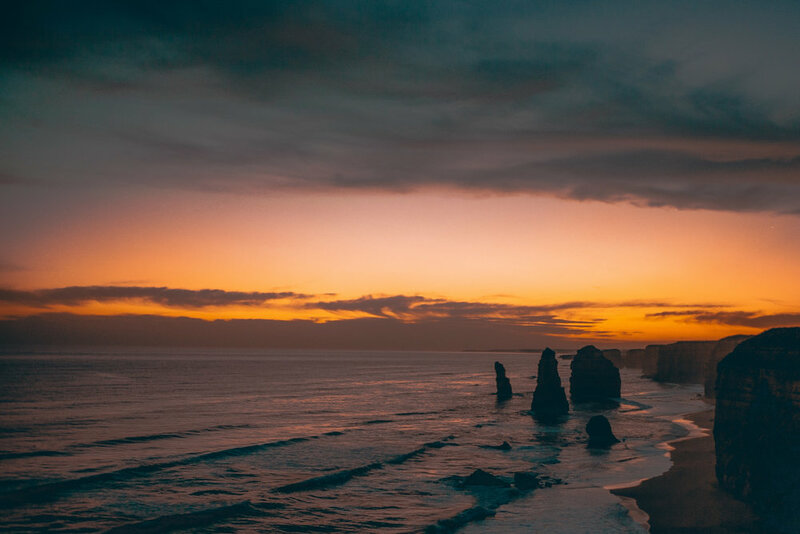 Throughout the Great Ocean road trip, there were altogether 12 apostles and after I had made 6 stops to have a close-up look of those 6 apostles, it no longer excited me and I wasn’t too sure if I want to make a stop for the remaining 6 apostles. In the end, I have completed the entire 12 apostles because I didn’t want to go home regretting if I ended up missing any of them. I don’t want to be a storyteller who says “I almost made a stop there” or “I could have stopped there”. I used to be a king of “Almosts” and “Could haves”. I have gone through many regrets in life and it was a mess. Bad breaks, bad choices. I no longer want to live a life of Almosts and Could haves. I know it’s cliché to say “It’s all about the journey, not the destination” but that’s not always the case. For this road trip, pretty much the journey and destination lie within itself. This is not a road trip where the peak is at the end when you stop the car and get to see the beautiful view and you say, “oh my goodness, the long drive was so worth it”. The destination is all along the way, along the coast, along every sharp turn. It’s for you to see it and to feel it. It’s for you to breathe it in. It’s for you to find the beautiful, hidden journey. Besides getting lost in a world made of books, coffee and rainy day. It’s also totally ok to get lost on the road and it happens. It feels good to be lost in the right direction. There are times that I lose myself in the thing I love and I find myself there too. Just have to make sure that when you get lost, you need to trust the road ahead, wherever it may lead. Here you can mark my word, you may get there a little slower but as long as you’re enjoying the time you’re finding your way out. You’ll beautifully arrive the destination. All my life I’ve wanted to be happy. I have wanted to run away from all the pain and anger and sadness that is buried deep inside. I’ve wanted to find a place where I’ve felt content to live and strive without the constant demons eating away at my core. Traveling helped me find that place. The place where I can be okay and I can be distant without worrying about what’s wrong. Traveling helps me realize all the possibilities out there for me. I’m not always going to be 31 years old but it pushes me to take advantage of the time I have left. The Great Ocean Road drive is, so far, the best driving route with the most beautiful coastline I’ve ever seen in my entire life. My adrenaline was flooded but as I drove along, seeing the most beautiful view, I had to remind myself that happiness won’t last. But yet, pain and sadness won’t last either! I love the feeling I get when I exit the airport and step into a cab to go to my hotel, in a foreign city where I don’t speak the language. There’s a sense of accomplishment when I get to where I’ve planned on going on my own, however easy it may be. Planning and executing a trip completely independently gives me an emotional high. I have become more confident in doing things on my own. It’s exciting and I’ve learned to crave it. When I’m in a group, it’s not the same. My friends contribute to the trip planning and the decision making when I’m in a group. They help me when I’m lost or confused. When I’m alone, It’s all me. I did it myself. I got myself here and I’m the only person I need. When I’m traveling solo, sometimes I meet other people, and at other times I’m left to myself. I’ve learned to internalize my thoughts of constantly expecting to be having a conversation with someone else. I’ve learned to love making choices on my own and even participating in activities alone. I began to appreciate the freedom of being solo, and I realized that I don’t need someone else there to make me happy. I laugh at myself, I become enthused with my own thought process, and I become the source of my own happiness. 12. WHEN LIFE GETS HARD, TAKE A TRIP! The new landscape and presence of people will make you forget. I’m not saying run away from your problems, but maybe reevaluate life and then come back to what is normal. Traveling teaches people lessons they would not learn anywhere else. As much as you want to forget, there is a lot more out there. Seeing new cultures and the way people live can put your problem into perspective. So why wait? Let’s plan your next trip now!